Mark Villar, was the artist behind the My Creative Time Keepin' it Classy set. Creativity must run in the family! I used the Easter 2010 cartridge to cut the pillow box. I cut the box at 7 inches. The box was easy to put together. These would make great gift boxes for the holidays. Enjoy! We are giving all of you an opportunity to win the BEST PRIZES during Sneak peek week with a total of "6" winners to be announced during Friday's Stamp release! All you have to do is leave a comment HERE along w/the rest of the design teams blogs for a chance! There are some AWESOME prizes w/this release! here that you did so! OR you can just tag us in your post! Don' forget to leave a comment and make sure you visit the design teams blogs for more great projects. I love this little box and Emma's stamps just add to its appeal! What a super fun project!! Love all the details you added!! So pretty!!! I love the colors and patterns, along with all of your fun details! Oooohhhh, I had no clue that the Easter cartridge had a pillow box. Nice little surprise. I need to make some pillow boxes, they look so cute. Love your pillow box. That is awesome. I like the paper - looks like a high end fabric. Great job. Beautiful pillow box, Nancy! I love the trimmings you added :o) TFS! What a cute pillow box!! Love these stamps! The pillow box look fantastic! Love your gorgeous gift box! Perfect for gift giving this time of year! So super cute! I love to make pillow boxes! Great job!! Pink, black, pearls and ribbon- what more can a girl ask for....very pretty. Amazing job! I love the colors! Super cute! Love the colors. Thanks for sharing. Pillow boxes are so much fun! Your turned out so great..nice job! 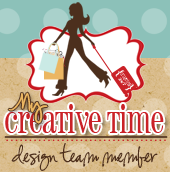 I love it, I love pillowboxes, they make great gift card holders too! TFS. OMG...this is so BEAUTIFUL! I love this pillow box! Fabulous pillow box. I just love the colors and the sentiment is fabulous! Great pillow box love your color choice. These are THE cutest gift boxes! I just LOVE the pink, the glammed up purse and the ribbon bottom! Too cute! Great job on your pillow box...so pretty! That pillow box is super pretty! Great use of Emma's stamps! TFS!! This is such a girly project. I am in love with it. :) You did an awesome job. Cute and Classy pillow box....love the colors you used!! Love how your pillow box came out, great colors. Love your pillow box gift. Its just Fabulous. The colors are perfect. I MUST HAVE THIS SET. AMAZINGLY BEAUTIFUL. Very cute pillow boxes! Great Job!! OMG! So, so pretty:) I love these boxes:) You ROCKED this!!! TFS! Cute pillow box I am now inspired to do one too. TFS! Very classy pillow box! Love the paper and the new stamps are terrific! Thanks for sharing and inspiring! Sooo cute!!! LOVE the ribbon and pearls! Very creative and oh so frilly! This is my favorite stamp out of all. This stmap will work with so many things. What a great idea, I love the colors. You gals are doing a great job. Great card! LOVE the burlap! Everything is so beautiful. Can't decide what I like best.